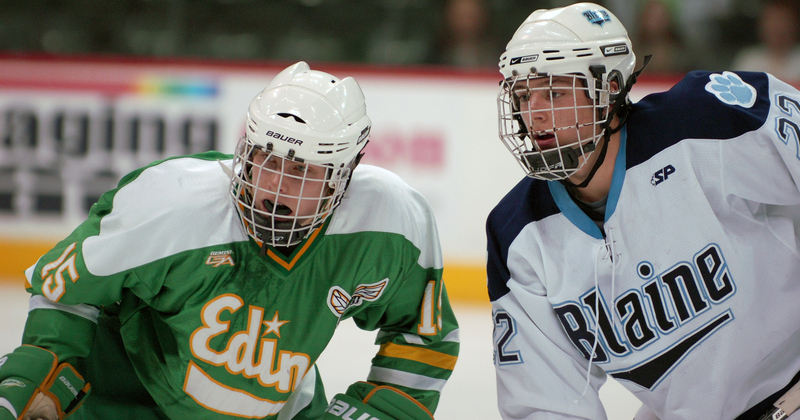 Edina beats Blaine again thanks to another clutch goal; Minnetonka up next. 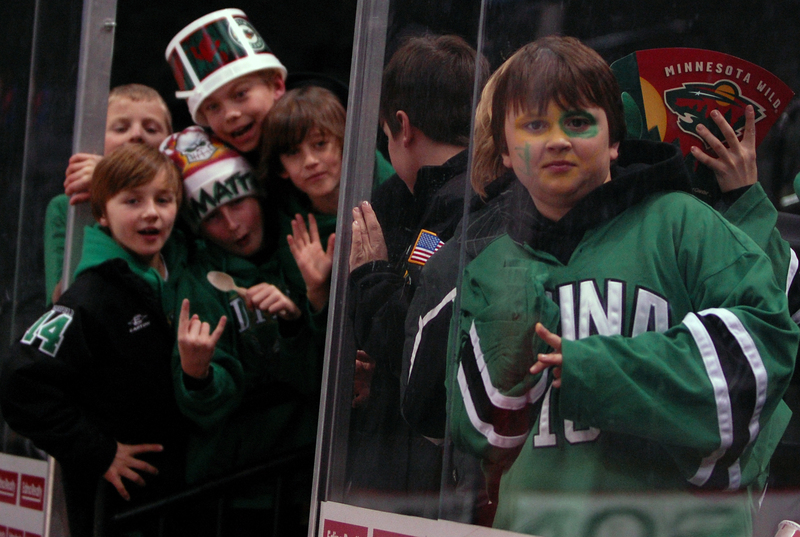 Throw the names of all the Edina forwards into a helmet, pluck one out and there’s a good chance you have just identified the player who is going to score the next big goal for the Hornets. 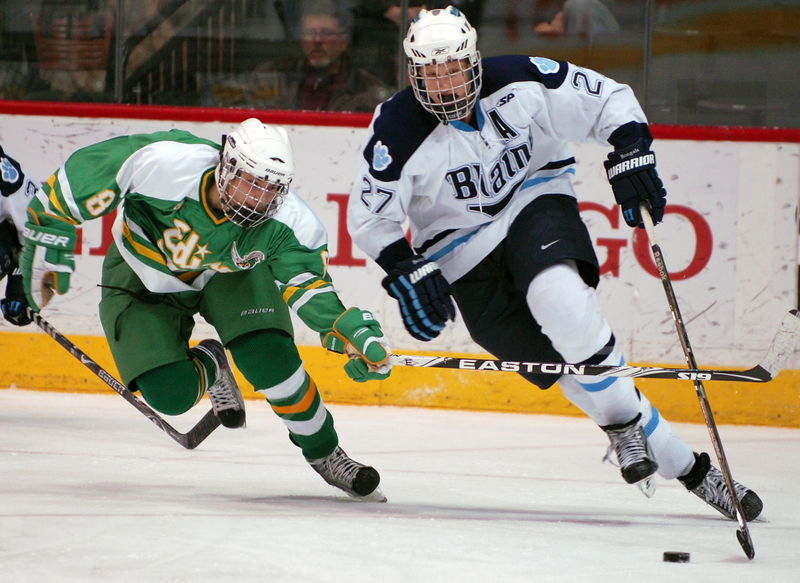 On any given night, any given player might throw the game-changing hit, block a shot ticketed for the back of the net or make a drop-dead gorgeous pass to set up a goal. Or score that game-turning goal. The only variable for the Hornets that doesn’t change is the outcome. 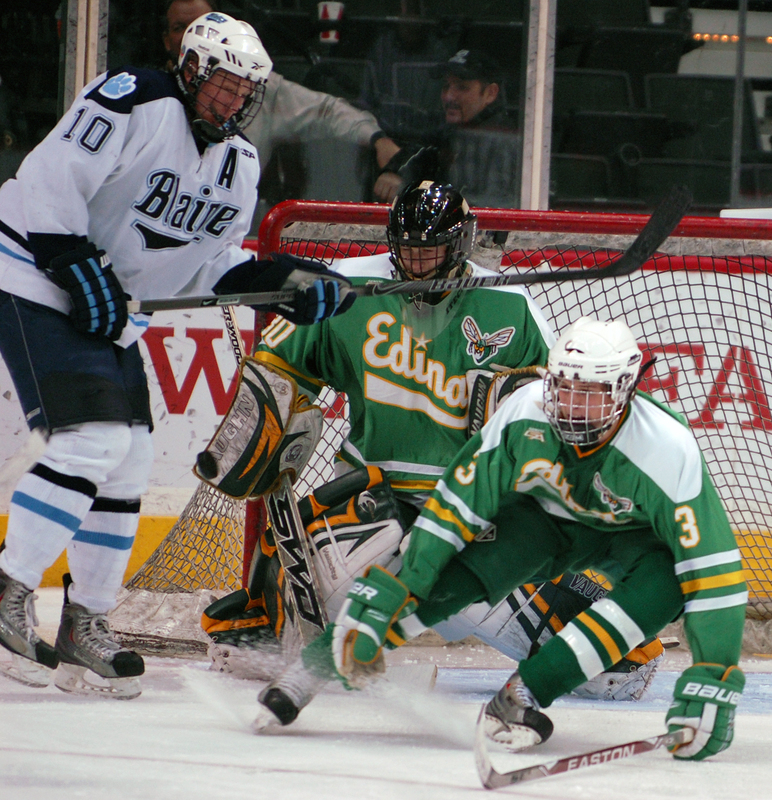 After beating Blaine 3-2 on Tuesday, Dec. 29 in the semifinals of the Schwan Cup Gold Division at the Xcel Energy Center in St. Paul, Edina has won nine straight and 10 of 11. 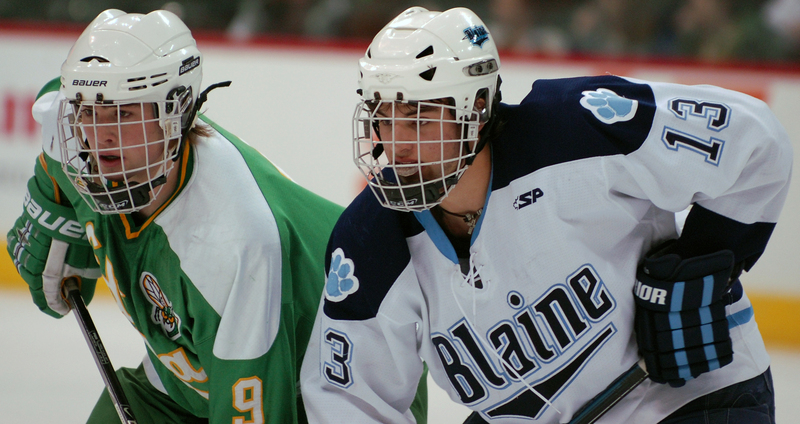 Against Blaine, it was junior Steven Fogarty scoring the winner in the third period. 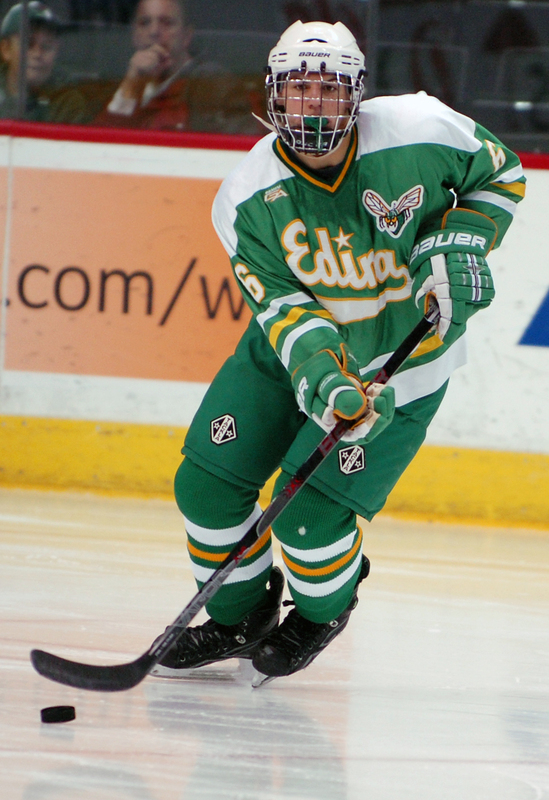 He beat Bengals goaltender Danny Harper after linemates Jake Sampson and Blake Chapman did the bulk of the work along the boards in the corner. 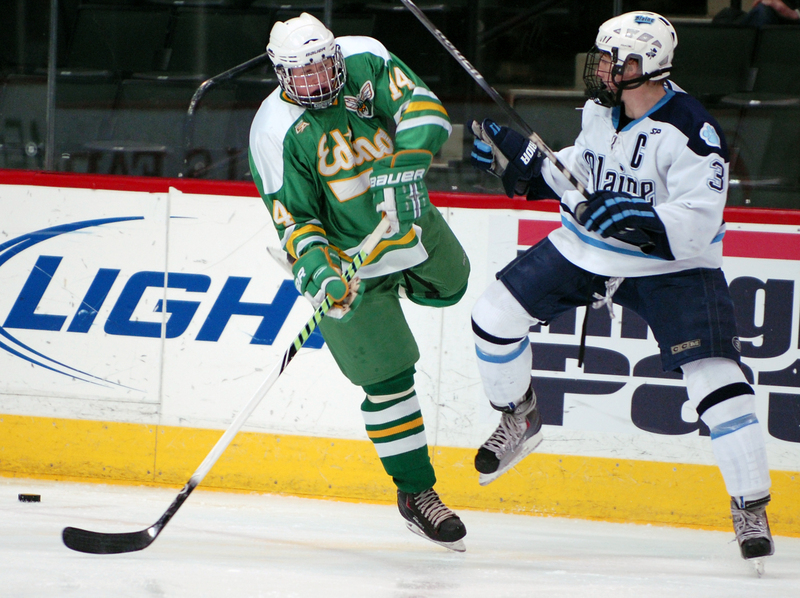 The goal was not unlike the one scored by Edina’s Jon Cote on Dec. 26, when he partially fanned on a third-period shot that also snuck past Harper. 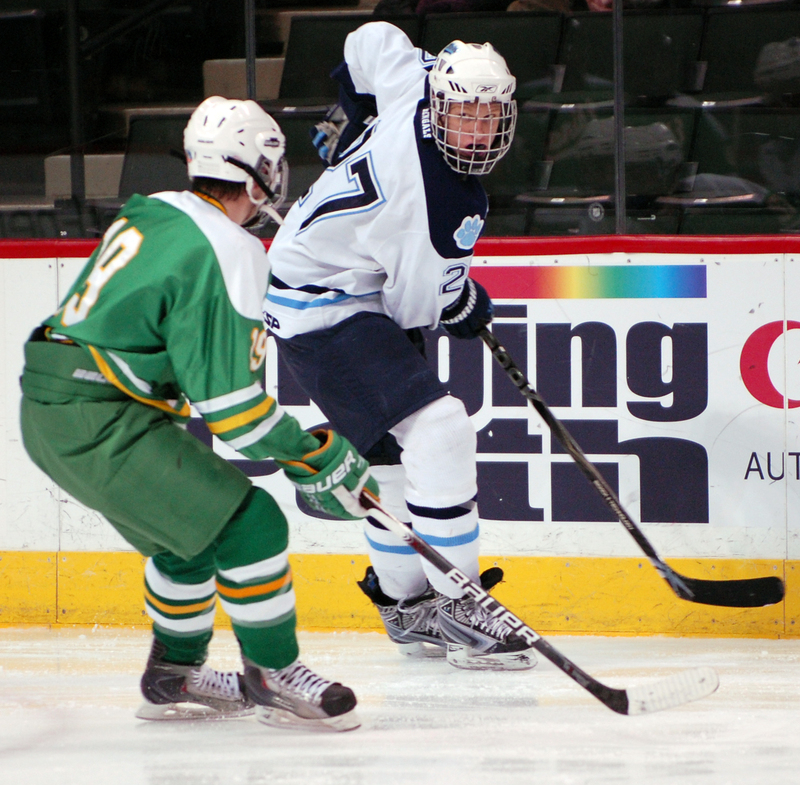 The Hornets beat Blaine 1-0 in that game, shutting down a high-powered Bengals’ offense that revolves around standout center Nick Bjugstad. 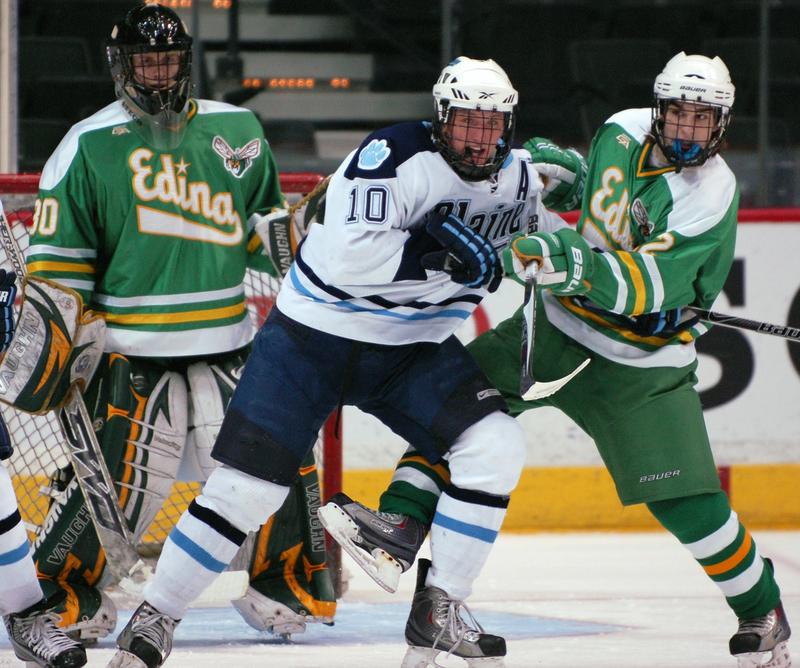 Edina has some speed, too. In fact, all four of the Hornets’ lines are high-energy, high-revving units that give opposing defensemen fits because of their quickness and chemistry. 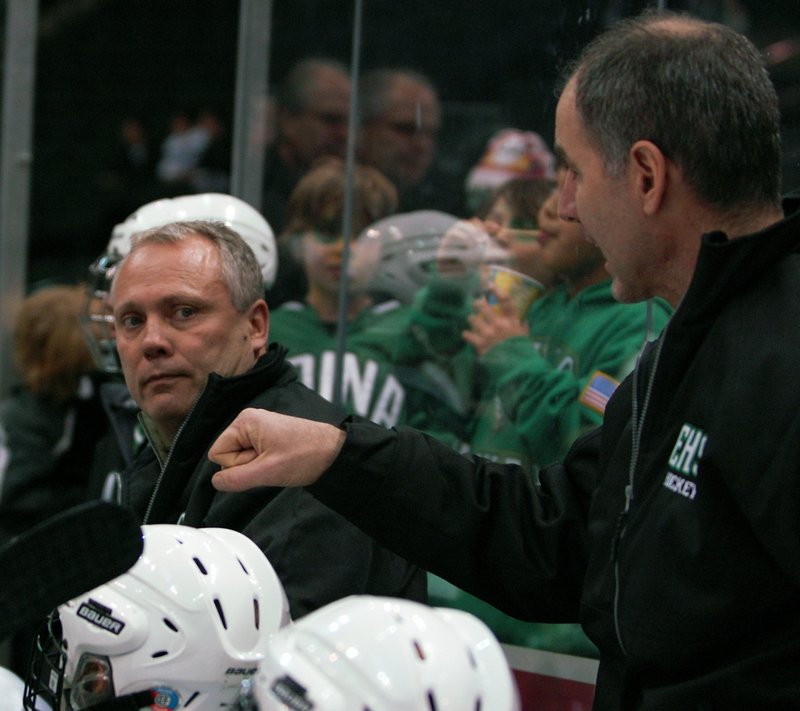 After a stretch that includes the two wins over Blaine and other eye-catching triumphs over highly regarded Duluth East, Eden Prairie and Elk River, the 10-1-0 Hornets are among the hottest teams in the state. In fact, the only team on a better run is undefeated and No. 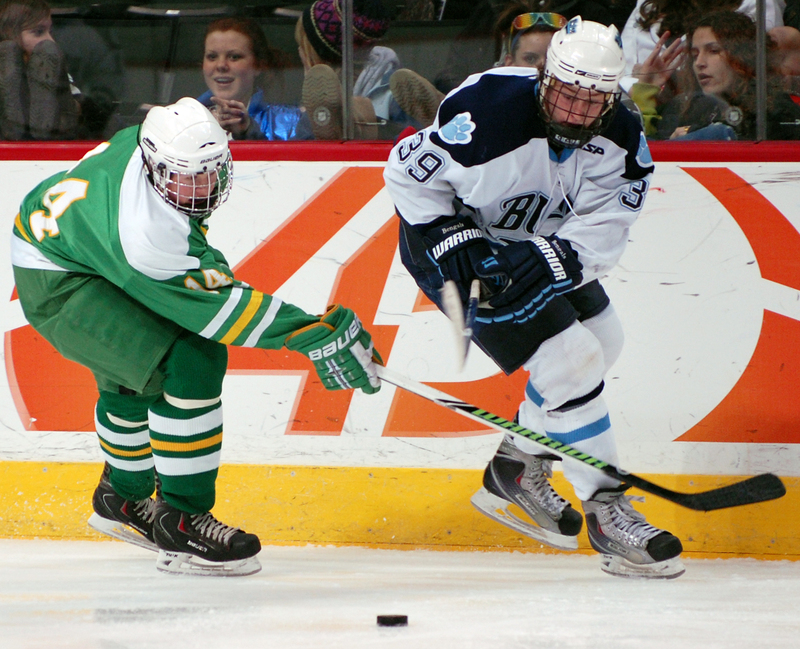 1-ranked Minnetonka, Edina’s opponent on Friday in the Gold Division finals at the Xcel Energy Center. 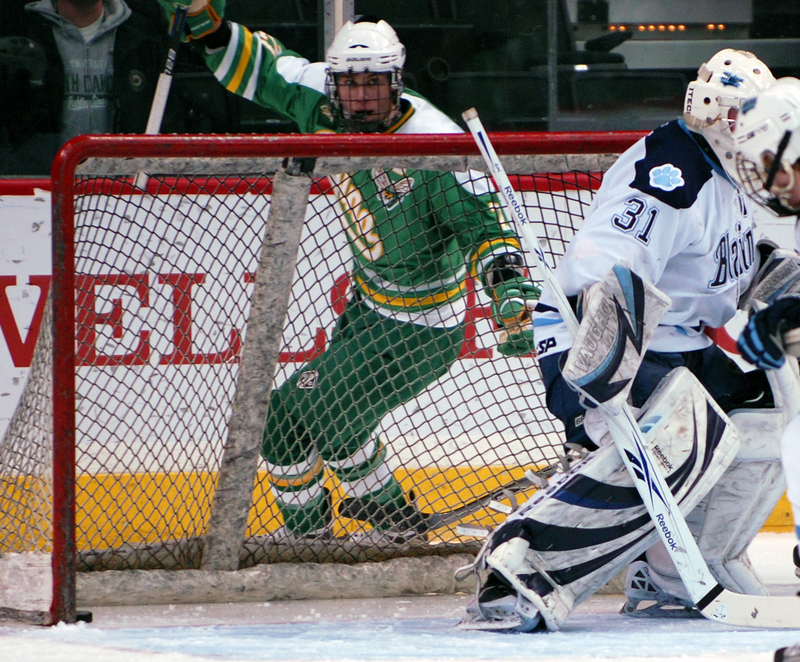 Junior forward scored the game-winner 3:45 into the third period, proving he's yet another clutch scorer a team full of them. 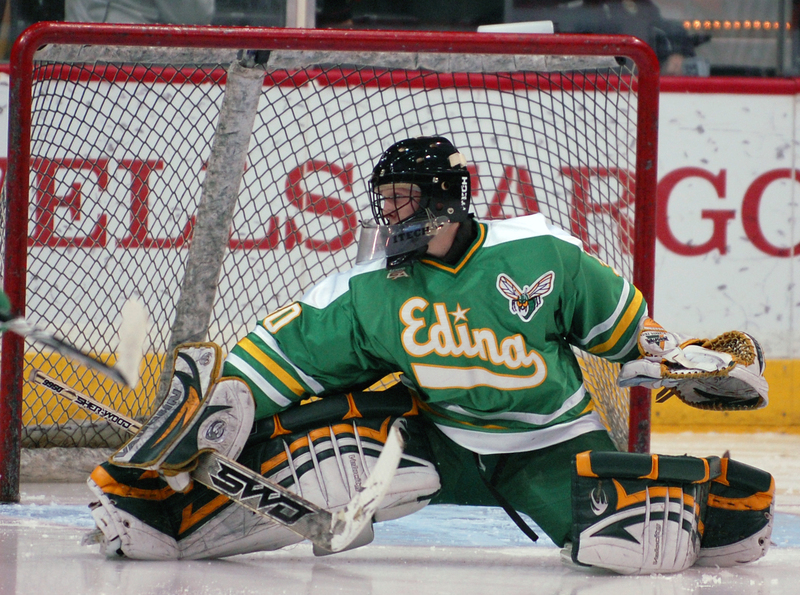 Senior goaltender got some help from his best friends, the goalposts, on at least a few Blaine shots but otherwise continued what has been a stellar stretch of performances by stopping 35 shots. He's allowed just two goals in his last three games. 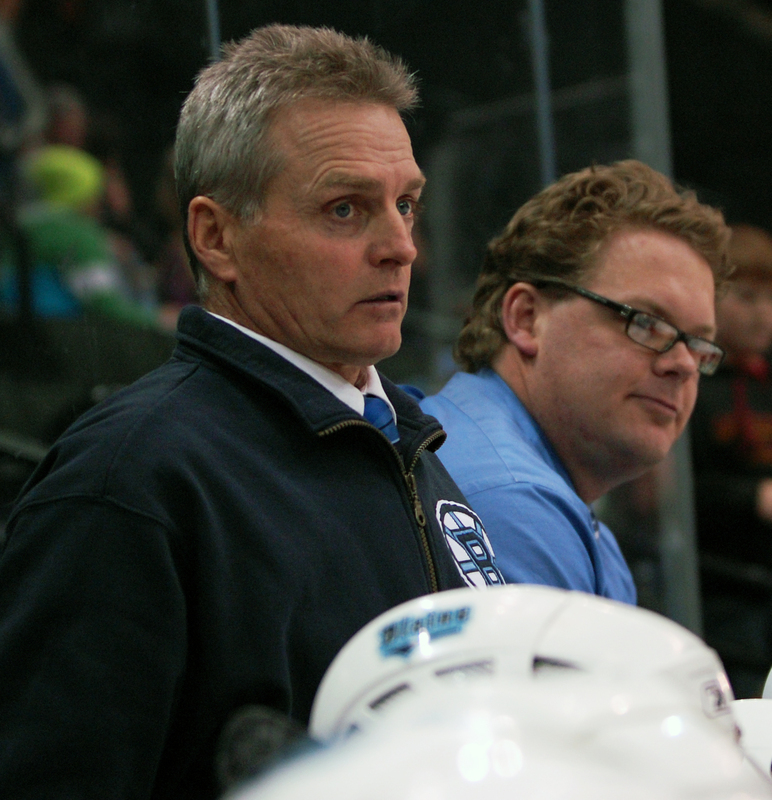 Junior forward had a goal and an assist, helping the Bengals' top line continue to flourish despite a mini-scoring slump by linemate an Minnesota recruit Nick Bjugstad.